Tongji University, located in Shanghai — the financial center of China, is one of the leading universities in China under the direct administration of Ministry of Education, listed on “Project 985” and “Project 211”. 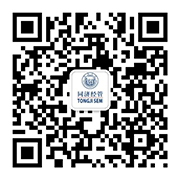 With a history of over a century, Tongji has valued the balanced development of four functions, i.e. education, research, outreach, and culture inheritance and innovation. The university now offers 10 broad categories of academic disciplines, including engineering, science, medicine, management, economics, philosophy, literature, law, education and arts. The number of faculty stands at 2,786, of which 855 are professors, and 997 associate professors. The university now registers 18,581 full-time undergraduate students, 13,762 graduate students, and 4,279 PhD candidates. Another 2,197 international students are pursuing their degrees here. The university offers 75 undergraduate majors. It grants master’s degrees in 55 broad academic disciplines, together with 15 professional master’s programmes and 26 engineering master’s programmes. It also grants PhD degrees in 31 broad academic disciplines with 3 professional PhD programmes and 25 post-doctoral mobile research stations. Since its founding, Tongji has turned out nearly 300,000 graduates, among whom many are successful political leaders, scientists, educators, social activists, business leaders, medical specialists, and engineering technology experts. Over 140 alumni are academicians of the Chinese Academy of Sciences, or the Chinese Academy of Engineering. As a triple-crowned Chinese business school by AACSB, EQUIS and AMBA accreditation, Tongji-SEM is one of the best business schools in China and has built prestigious reputation worldwide. SEM is strongly research-led and internationally oriented, with a total of more than 3000 publications (based on CNKI, EI, EBSCO, FT45, UT Dallas 24 and ABS journal lists) recorded over the past five years and more than 25 Double Degree programs and over 70 student exchange programs built over the past decades. Tongji-SEM has partnered with more than 85 international universities/institutions and established a wide range of double or joint degree program with renowned schools such as Case Western Reserve University, Manchester University, Mannheim University, ESSEC Business School, ESCP Europe and etc. SEM is gateway to the world whilst we are dedicated to build a global community on campus. SEM receives more than 500 international students for each single year in the recent several years and is one of the most popular university locations in China, renders students a unique and vibrant ambiance in terms of culture, living, study, and sport facilities. Tongji University began programmes in Economics and Management in 1956, and was one of the earliest universities in China to launch such programmes. The School of Economic Management was founded in 1984, and merged with the Business School to become the School of Economics and Management (hereinafter referred to as SEM) in 1998. After over fifty years of development, SEM has gradually established a mission of Innovation, Cultivation, and Service with a goal of Internationalization and a strong research orientation. SEM currently boasts 210 faculty members, among whom 60 are professors and 74 are associate professors. At present, there are more than 1500 registered undergraduates, over 4000 postgraduates (including academic postgraduates and postgraduates in professional degrees, such as MBA, Master of Public Administration, Master of Engineering Management, EMBA) and doctoral candidates. After about 30-year of development, SEM has cultivated thousands of professional managers, who are now playing important roles in the development of the national economy.